I did not have many stroke symptoms the first 30 transient ischemic attacks but I had trouble focusing on my calendar. The worst one I had a headache and couldn't stand on my leg, but I got up and went out to eat that Sunday just like always. I have had about 40 in all with almost no lasting symptoms. I take baby aspirin once a day. I am 74 and still going strong. I have had 2 transient ischemic stroke a year apart. First one, I was talking to my husband and then wasn't able to talk for a few seconds. When I could it was way off topic. It happened 3 times in a few minutes. Second time I couldn't say what I was trying to say, and that happened 3 times within a few minutes. I felt dizzy, nauseous, disoriented, had slurred speech, and got a sudden really bad headache that went away in about 15 minutes. I continued to have dizziness and speech problems 2 days later. The doctor sent me to the emergency room for cognitive tests. I couldn't draw hands on clock problem. I had automatic blindness in my left eye because of a stroke. But they kept saying it was floaters, but I have some. So it took a year before I got diagnosed through 3 different doctors. I now am blind in the lower right area of my left eye. My stroke symptoms started like a flushing feeling all over my body, tingling left hand and feet, and kind of felt like small pin pricks. My speech was slurring and it was hard to form words. I had numbness and weakness on the left side of my body when I had my stroke. I was also dizzy and off balance. I went white after exercising before I knew I had a stroke. 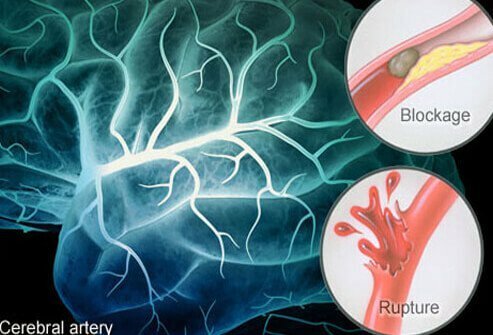 My symptoms of stroke were loss of memory, headaches, side of face swollen, nervousness, and weakness. I couldn't walk without holding onto something, and was tired all time. Currently I am nursing my senior sister who is suffering from stroke. I noticed she had a stroke late last year when she suddenly started developing swollen arm and was unable to lift it up at a point. Thank goodness she is almost fully recovered, but the point I want to make here is that our major problem is negligence. She was experiencing pain in her left hand but was so busy with work and paid no attention to her health care. Sometimes we ought to take out time from our comfort zone and create health time. Stop neglecting those small symptoms as it can lead to disaster. Please let us all be aware of our health. Stiffness on my left leg made me realize I was having a stroke. A tingling sensation and minor pains in right leg, while in bed led me to know I was having a stroke. My eyes feel funny, my head feels funny, I feel really cold, I have pins and needles up my arm, and numbness to the face and legs. I am very cold, trying to improve circulation and it's not working. I have numbness off and on in each hand and feet, pins and needles, and dizzy spells. I am worried if these are symptoms of a stroke. Four times now I have had a sudden rocking feeling that last for 30 minutes. Then my eyes and head feel like they are under water, never losing the feeling of rocking, then I lose my balance and then I start to see triple, but if I cover one eye I can see fine. I can't focus on anything. I tell people it feels like I'm on drugs because I've seen people who are on heavy drugs and you see their eyes, how they can keep them open and yet they are talking super-fast. Well, that's me for a couple hours and then my lips go all tingly. And when I finally start to come down I get so tired. This lasts for about 8 hours. But I have noticed a pattern. I'm only having these stroke-like episodes when I have to go to work at 6 am and not 8:30 am. I had a swollen left ankle and a very painful right arm, which were my symptoms of a stroke.